Suitable for 6-13 year olds and their accompanying adult! Learn a new skill together – twice the fun! Why not spend a lovely day sewing with your daughter or son using our Liberty printed fabrics. Make a washbag, bunting or shorts etc together! A creative afternoon offering a little calm and bonding time after the Easter break. You and your child will learn how to use a sewing machine and you’ll get to make your own pretty Liberty fabric washbag or shorts etc (coming soon: please visit our website to see our collection using Liberty fabrics) and optional creative appliqu�. Held at St Peter’s Hall in a light and airy space situated upstairs at 59A Portobello Road, London W11 3DB, on the 1st floor, above the delicious Farm Girl caf� (access by stairs only). The price of �59 each includes all Liberty fabrics, haberdashery and equipment plus healthy snacks throughout the session. 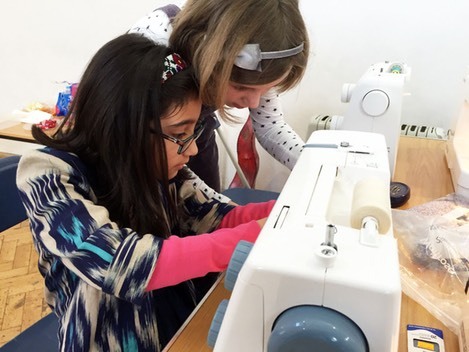 We are running two fashion tasters for aspiring fashion designers in Notting Hill Gate in April to get everyone sewing. Your child will learn how to use a sewing machine and they’ll get to make and take home their own pretty Liberty fabric printed shorts. For students who’ve been before, learn where trends come from and how to drape fabric on a stand. 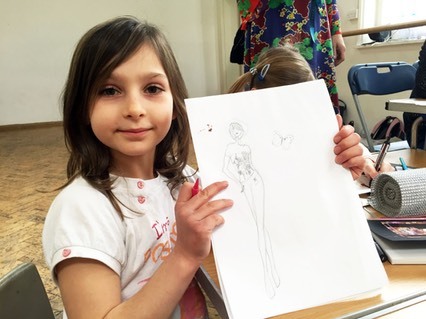 They’ll also learn to sketch like a fashion designer and take home their own creative sketchbook with a mood page. 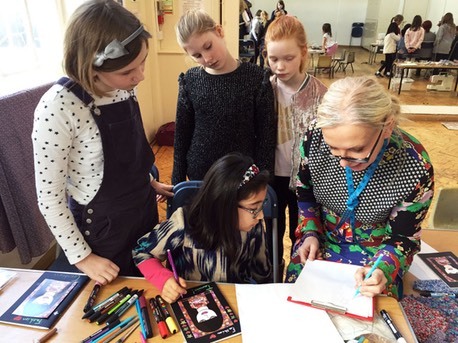 Our workshops are held at St Peter’s Hall in a light and airy space situated upstairs at 59A Portobello Road, London W11 3DB, on the 1st floor, above Farm Girl caf� (access by stairs only). The price of �59 each includes all Liberty fabrics, haberdashery, art materials and equipment.